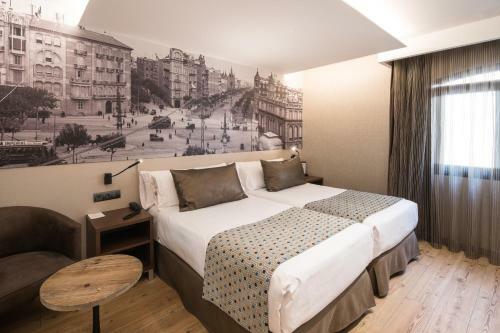 Set in a 19th-century building in Barcelona’s El Born district, Catalonia Born offers a rooftop pool, an attractive central courtyard and free Wi-Fi. Arc de Triomf Metro Station is 250 metres away. 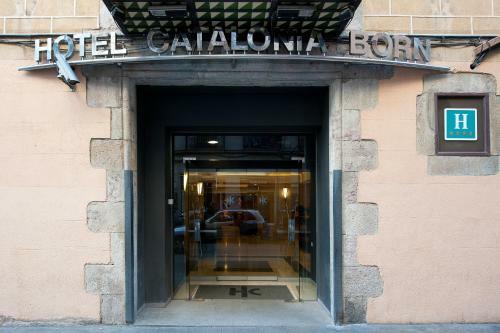 Guests are able to use the spa found just a short walk away in the sister hotel, Catalonia Ramblas. It offers a Turkish bath, a hot tub and sauna. Massage services are available. Please note that all rooms have centrally controlled heating or air conditioning, depending on the season. Guests are required to show a photo identification and credit card upon check-in. Please note that all Special Requests are subject to availability and additional charges may apply. Air-conditioned room equipped with satellite TV, mini bar and safe. It also includes 2 types of pillows and a private bathroom with bath tub or shower. Rate: € 90.00 ... € 200.00; select dates below to get current rates. Opening onto a terrace, this air-conditioned room is equipped with satellite TV, a mini bar and safe. It also includes 2 types of pillows and a private bathroom with a bath tub or shower. Rate: € 108.00 ... € 210.00; select dates below to get current rates. Air-conditioned room equipped with satellite TV, mini bar and safe. It also includes 2 types of pillows and a private bathroom with bath tub or shower. This suite also comes with a private terrace. Rate: € 130.00 ... € 260.00; select dates below to get current rates. This air-conditioned room features a flat-screen satellite TV, free Wi-Fi, minibar, tea and coffee maker. The private bathroom comes with bath and shower. Free toiletries and hairdryer are provided. Rate: € 115.00 ... € 235.00; select dates below to get current rates. Rate: € 117.00 ... € 197.50; select dates below to get current rates.